Tool to Recover Lost/Deleted Data from corrupted or formatted USB pen drive or flash drive Partition. Product Information: Now all your deleted data from USB Drive including txt files, music folders, saved pictures can be easily retrieved with the use of USB drive data recovery software. Restore files and folders including music, pictures, word documents from commonly used pen drive, flash drive, thumb drive, key drives and other types of USB storage devices. USB drive data recovery Software uses advanced and standard search methods to search and recover lost data. Software recover lost data from different data loss cases like Formatted or reformatted media/disk drive, Hard Drive Failure, system crash, virus attack, corrupted/deleted partitions, Emptied Recycle bin or data lost using Shift+Delete keys and other operation errors. 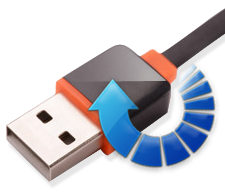 Recover deleted data from pen drive, thumb drive, key drive and other types of flash drive. 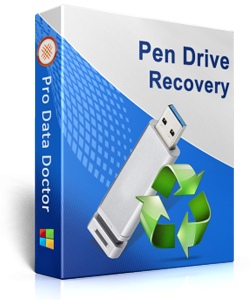 Provides data preview facility to view your lost pen drive files before final recovery process. Program save your recovered pen drive files at specific location on your computer system. Provides recovery of deleted files and folders even after emptied recycle bin. Recover lost files saved in various file extensions like jpg, jpeg, gif, bitmap and other file formats. Software designed to recover files and folders deleted or lost from computer HDD drives and USB flash digital media storage devices. Software perform a deep scan to recover lost partitions and file meta data. Software recover all deleted files and folders from commonly used USB mass storage devices including USB flash drives, External hard disk drives etc. due to virus, disk formats, power cuts and other similar data loss reasons. 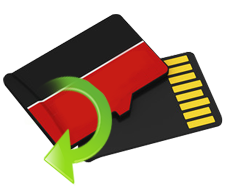 Software recovers accidentally deleted photos, files and other useful data from corrupted, damaged or frozen memory card digital media like Compact Flash card, PC card, SD card, Multimedia Card MMC etc.